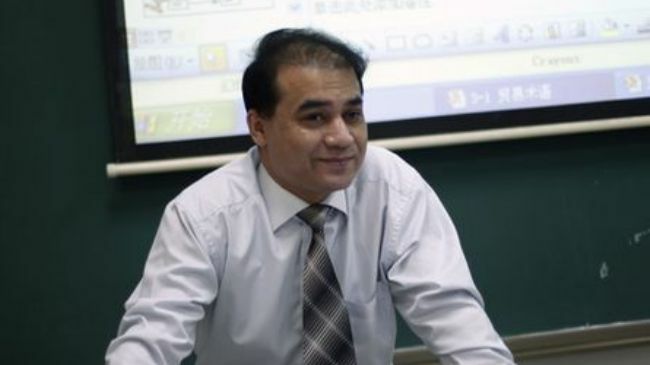 Charges Against Uyghur Academic Ilham Tohti Show "No One in China Is Safe from Government"
The Uyghur Human Rights Project (UHRP) expresses alarm upon hearing that Uyghur economist, Ilham Tohti has been formally arrested and charged with “separatism.” UHRP believes the charge reflects not only a zero tolerance policy to Uyghur dissent, but also the growing intractability of China towards international criticism of its ethnic policies. UHRP challenges the Chinese government to present compelling evidence to prove its charges against Mr. Tohti and to respect its own laws. Reports from Reuters and AP dated February 25, 2014 described how Mr. Tohti’s wife, Guzelnur was notified of her husband’s formal arrest via a warrant she received Tuesday. She also obtained confirmation that Mr. Tohti was being held in a detention center in East Turkestan (also known as Xinjiang Uyghur Autonomous Region). This was the first notice Guzelnur has received as to her husband’s whereabouts since he was detained at their Beijing home on January 15, 2009. Prior to today, she had also not received any notification of the reason for his detention. UHRP believes the two mitigating circumstances cited by Article 64 of the Criminal Procedure Law do not apply in Mr. Tohti’s case, as Guzelnur’s whereabouts was clearly known to the authorities and given Mr. Tohti was already in police custody far from his home in Beijing, no hindrance to the investigation is immediately detectable. The appointed lawyer shall have the right to find out from the investigation organ about the crime suspected of, and may meet with the criminal suspect in custody to enquire about the case. Since Mr. Tohti was detained on January 15, 2014, a number of government entities and NGOs have expressed concern for his welfare. We call on Chinese authorities to immediately account for the whereabouts of Mr. Tohti and his students and guarantee Mr. Tohti and his students the protections and freedoms to which they are entitled under China’s international human rights commitments, including the freedom of expression. I have called on the authorities to treat him in line with Chinese legislation, to substantiate the charges...to inform the family of his whereabouts. If these charges cannot be substantiated, release him. In addition, Chinese citizens began an online petition calling for Mr. Tohti’s immediate release. Despite international pressure and concern from within China, Chinese authorities have held firm to a hard line on dissenting Uyghur voices. Mr. Tohti, who worked as a professor at the Minzu University of China in Beijing, has often questioned the efficacy of Chinese government policies targeting Uyghurs citing worsening economic, social and cultural conditions in East Turkestan. He is also known for operating the Uighurbiz website, shutdown since his detention, which offers information on Uyghur social issues in Mandarin Chinese and has been hosted overseas after unrest in Urumchi in 2009. The pattern of detention directed at Uyghurs with outspoken views on social issues is also demonstrated in the case of Abduweli Ayup, who advocated strengthening the use of the Uyghur language in East Turkestan and opened Uyghur-language schools to that effect. Abduweli Ayup was detained in 2013 for “allegedly illegally collecting donations” for his school and his current condition and whereabouts are unknown.